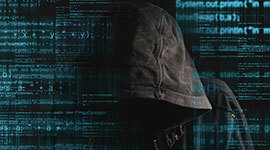 CLP Solicitors has a depth of legal knowledge and expertise valuable in complex cases of criminal and cyber fraud. Having handled some of the UK’s biggest fraud cases of recent years, CLP Solicitors not only have in-depth knowledge of the law, but experience of providing rigorous and effective legal direction to even the biggest and most complex of fraud cases. The introduction of the Fraud Act several years ago made it much easier for the Crown Prosecution Service (CPS) or the Serious Fraud Office (SFO) to prosecute cases of fraud. Sentences can be heavy and the legal waters especially hard to navigate. Reliable, professional counsel is particularly important for anyone facing charges of criminal or cyber fraud. Dedicated representation in the courtroom should things proceed to trial. Our legal team has expert knowledge of all aspects of fraud law, as well as excellent experience of handling fraud cases of all types and sizes including some of the most high-profile cases in recent UK legal history. We are equipped to give sound legal advice on regulations and have solid experience in defending all kinds of fraud allegation. CLP Solicitors provides our clients with sound legal advice and practical guidance throughout every stage of fraud proceedings, will fight relentlessly to achieve the most positive possible outcome. We handle all types of fraud-related offences including corruption, mortgage fraud, money laundering and more, and we have extensive experience of dealing with particularly complex charges such as multi-jurisdictional fraud allegations. Reliable legal guidance and defence advocacy for those facing charges of fraud.